Detailed, persistent, and dedicated are just a few of the words that can be used to describe multi-passionate entrepreneur Sharena Loggins. Not many women can say that they have earned two bachelor of science degrees and a MBA in Business Administration all before the age of 27. Add to that 4 beautiful children, a multi-million dollar Keller Williams brokerage, and a catalog of profitable small businesses and still the future only look brighter for this mogul. This is only the beginning. Welcome to the world of Sharena Loggins! Born & raised on the West Side of Chicago, by well educated parents, Sharena knew that there was more to life than the crime ridden streets that she called home. She believed that she could be whatever she wanted to be and live the lifestyle she knew she deserved. Sharena knew that it wouldn’t be easy but that she was well equipped with everything she needed to take the world by storm. Becoming a mother at just 16 years old, may have been a distraction for some, but for Sharena it was only more motivation. She graduated just a year later, as Valedictorian of her high school class. It was in 2005, after graduating college and experiencing her first career job, that Sharena realized she could not continue working as a managed employee. She immediately pursued and obtained her Real Estate License in search of an income that provided her with not only the means to take care of her growing family, but also the freedom to spend her time, her way! From four successful years maintaining her own office, S. Loggins Realty, to becoming a CEO/Team Leader for a multi-million dollar Keller Williams brokerage in Chicago, IL, Sharena positioned herself as an asset in several facets of the real estate world. In 2012, she moved to Atlanta, GA to take advantage of the opportunities a new city could provide and to save her children from the negativity of their neighborhood in Chicago. Atlanta has proven to be a profitable new place to reside for Mrs. Loggins. Since her move, she has successfully maintained several profitable businesses including a t-shirt line for Real Estate Agents, Agent Wear Club, a construction company, M.A.T.S Construction, LLC, an online specialty shop, Regal Phoenix, as well as expanding her brand as a real estate guru. 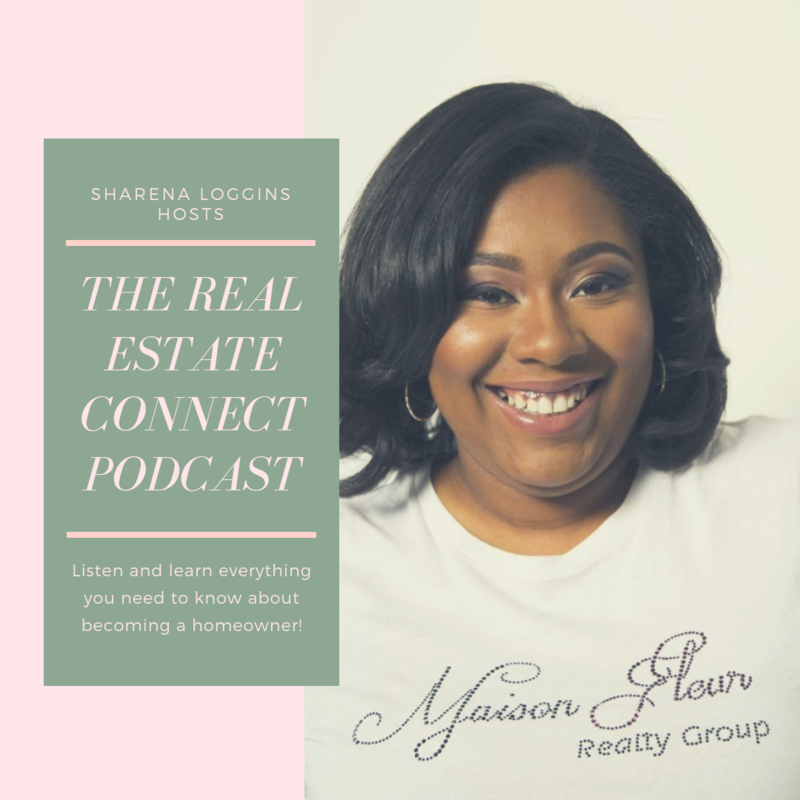 In 2017 Sharena launched The Real Estate Connect Podcast which is available on iTunes, iHeartRadio, GooglePlay and SoundCloud. You can also listen online at https://soundcloud.com/therealestateconnect! The podcast answers all of your real estate focused questions with the help of industry expert interviews. You can find the latest episodes in the Maison Fleur blog!